This 5” x 7” card base was created from a 10” x 7” piece of cardstock that was cut with a paper trimmer and scored in half using a scoring board. 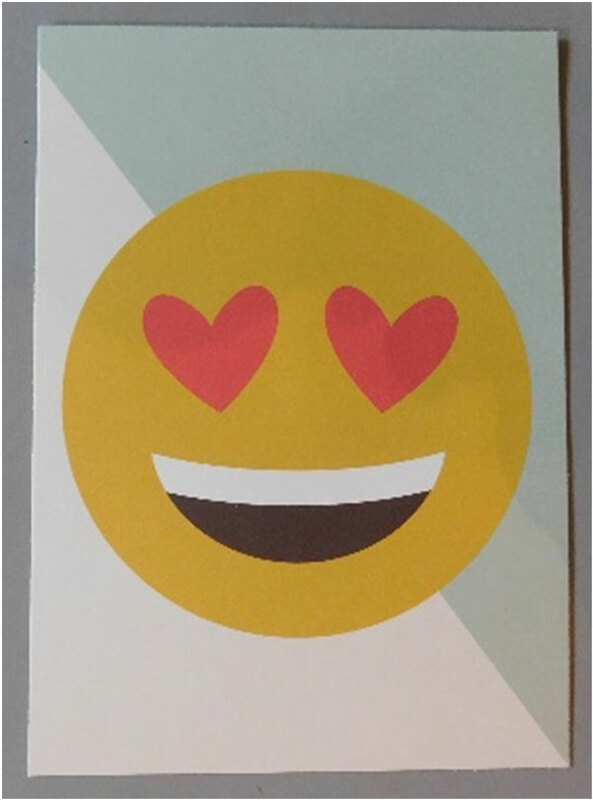 This emoji sheet is from the Simple Stories Emoji Love collection and can be found in the 6” x 8” paper pad. It was cut down to 4 ¾” x 6 ¾” so that it would fit onto the card base. Adhere it using a tape runner. 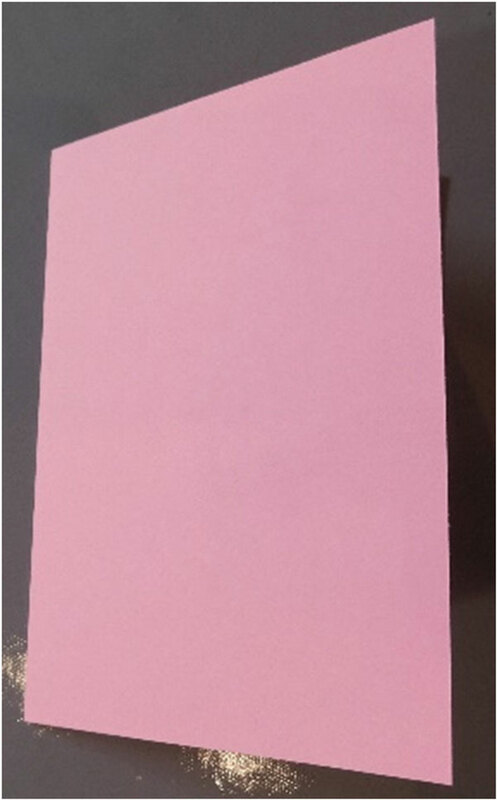 Cut the pink strip (or color of your choice) from the 2 Cool Sheet from the collection. It should measure 5” long and 1 ¼” wide. The width is cut down a little to allow it to fit under the emoji without covering the bottom of it. Now with a set of circle dies and a die cutting machine or a circle punch cut several circles from the Lol sheet and adhere them across the strip created in the step above. Attach the strip under the smiling emoji. 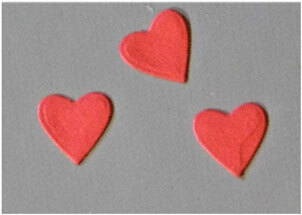 Create the look of floating hearts that stand out from the card by cutting several small hearts using a heart die or punch or stickers. 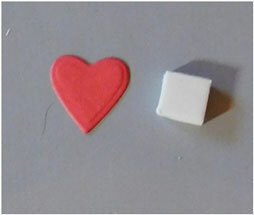 Attach them around the card using a 3-d adhesive so they look like they are floating across the front of the card. Finish off the inside of the card with a sentiment of your choice. This Valentine’s Day send someone a special emoji, but do it with more fun than just the click of a button. Create this card and add to the fun of using emoji’s and the day. 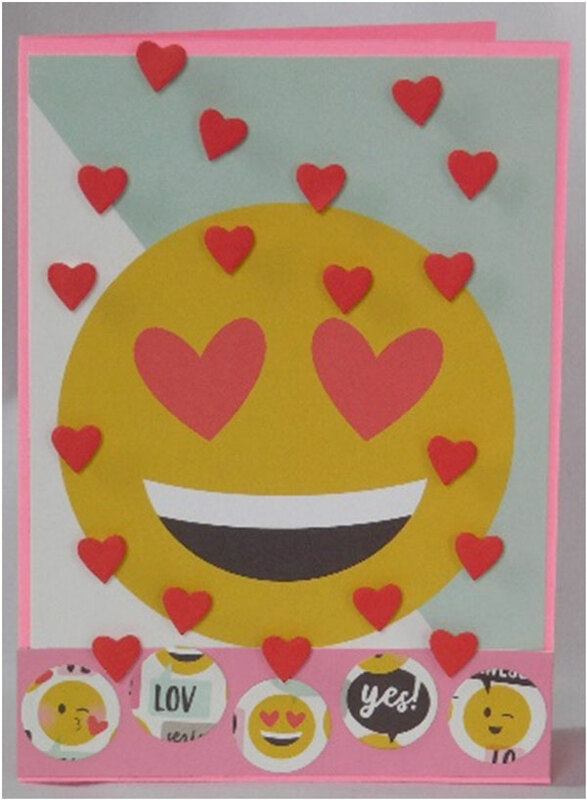 A handmade card is a special message that you can easily give even when it uses modern things like an emoji. 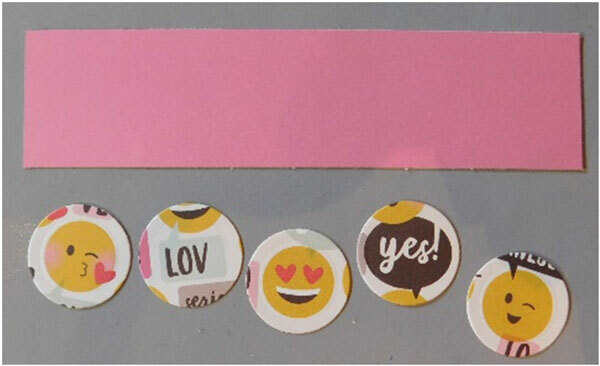 This entry was posted in Cardmaking, Holidays & Seasons, Paper Crafts, Valentine's Day and tagged Cardmaking, Die Cutting, emojis, Valentine's Cards, Valentine's Day on January 16, 2018 by Peg.